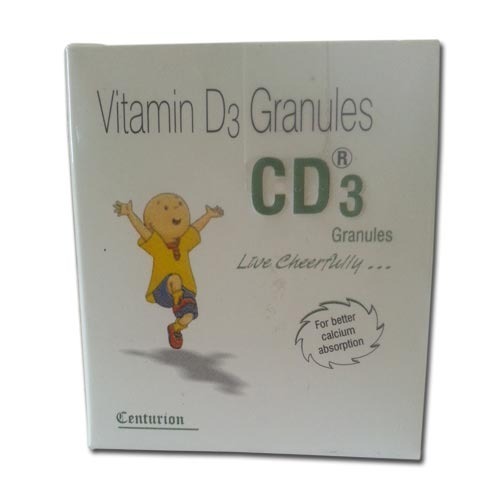 We offer CD3 Granules that comprise of cholecalciferol or vitamin D3, which is a form of vitamin D. Vitamin D deficiency is a common problem and can be the cause of a large number of ailments. Our product helps to counter vitamin D deficiency and is safe for consumption. They must be consumed as per the doctor's instructions in measured doses.